Terry Collins spoke to the New York Post about the 2015 Mets yesterday, and to be frank some of the things he said are questionable to say the least. Collins revealed what he thought the 2015 Mets lineup is going to look like. And according to Terry Collins, if the season started today, he would bat Juan Lagares in the leadoff spot, followed in order by Curtis Granderson in left field, David Wright, Lucas Duda, Michael Cuddyer in right field, Daniel Murphy, Travis d’Arnaud, Wilmer Flores and then the pitcher. Are you kidding me? Murphy 6th and Granderson 2nd Granderson barely hit enough home runs to make us over look his abysmal average and your putting your lone all-star in the 6 hole? Here is what I think the Mets should do: Lagares, Murphy, Wright, Duda, Tulowitski, Cuddyer, Granderson, d’Arnaud and the pitcher. 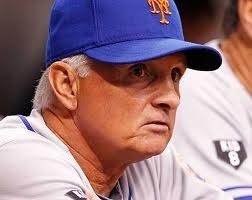 However, you might as well know that Terry Collins basically announced that Flores is the guy at short. Even though I don’t want to hear this, I am 100% convinced that this is the case. Sigh. 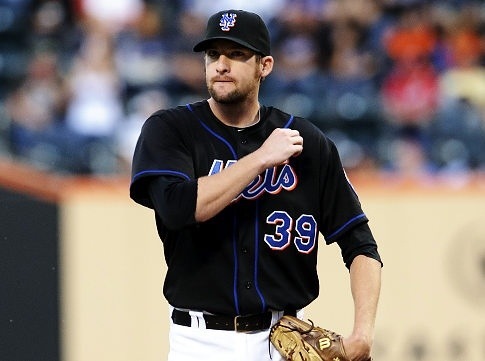 Oh well, maybe the Mets will get their quality relief pitcher that we’ve been waiting for! No? Well then, it might be worth while knowing that Collins announced that Bobby Parnell is the closer moving forward, this I am impressed by.